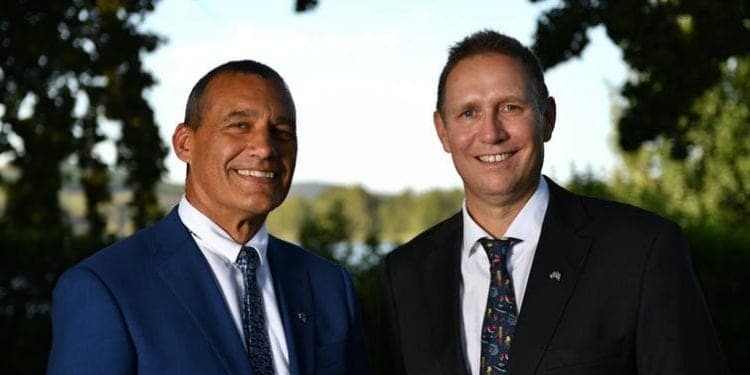 The two Australian divers who gripped the public imagination for their part in the dramatic rescue of a Thai boys soccer team have shared the Australian of the Year award. Dr Richard Harris, an anaesthetist from Adelaide and Dr Craig Challen, a retired vet from Perth, long-time diving companions, worked as part of the international team that, against the odds, brought the 12 boys and their coach to safety. The members of the Wild Boars team entered the caves on June 23 last year, only to be trapped by floodwater. In the staged rescue, the last boys and the coach reached safety on July 10. The two Australians were preparing to go on a cave-diving holiday when their help was sought. “Richard’s medical experience was key in the plan to get the children out of the caves,” the Australia Day Council said. “After swimming through the narrow cave system to assess the health of those trapped and giving the medical all-clear for each evacuee, he administered an anaesthetic to each to enable their rescue. “Richard was key to the mission’s success, remaining in the cave system until the last evacuee was safe. “Craig’s technical expertise was critical to the rescue. He played a leading role, working 10 to 12 hours each day in extremely dangerous conditions to swim the children one-by-one through the dark and narrow flooded caves”. rapper, musician and dancer from the Northern Territory. in the Yolngu Matha language”. Katherine in the Northern Territory. governments acting to prevent childhood bullying.